The Unofficial Guides 〉 Walt Disney World 〉 What’s Your Favorite Disney Show? 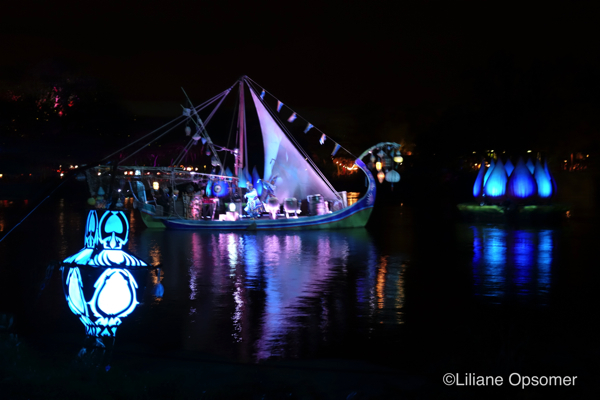 The new sound-and-light show, which lasts 15 minutes, takes place along the lagoon formed by the Discovery River. Rivers of Light is rich in symbolism and conveys the story of the relationship of humans, animals, and the forces of nature on our planet. The show features 11 floats, including two carrying storytellers. But do not expect a narrative, a plot, or a traditional plot with heroes and villains. Rivers of Light is anything but that. Even the storytellers do not talk but rather express the story using Balinese shadow puppets. The soundtrack, with a musical score created by songwriter and composer Don L. Harper and the signature song “We Are One” written by Mark Mancina, is simply amazing. The combination of colors, light, and music is soothing. Rivers of Light is a Disney show definitively worth your time. Expect fantastic pageantry, dazzling costumes, a mini–Broadway show, and air-conditioning too. 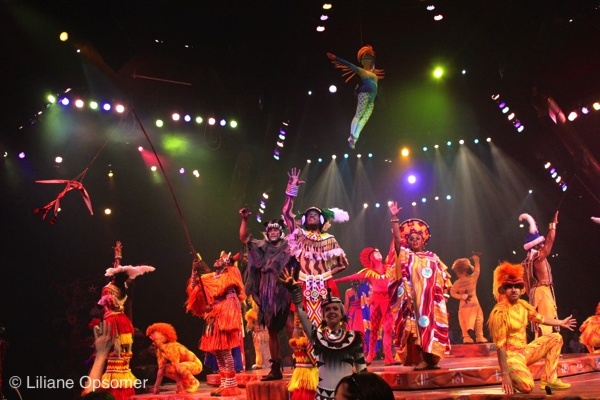 Festival of the Lion King at the Animal Kingdom was the precursor of the Broadway production of The Lion King. The show is based on the animated feature The Lion King, a must-see movie. Did you know that James Earl Jones, theThe voice behind Mufasa (father of Simba), is also the voice of Darth Vader in Star Wars? The Festival of the Lion King is a must-see show with fabulous music. “Can You Feel The Love Tonight” won the 1994 Academy Award for Best Original Song. 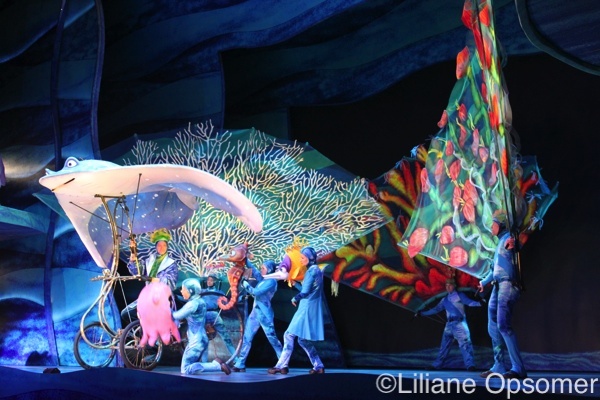 Based on the Disney-Pixar animated feature, Finding Nemo—The Musical is an elaborate Disney show headlining puppets, dancers, acrobats, and special effects. 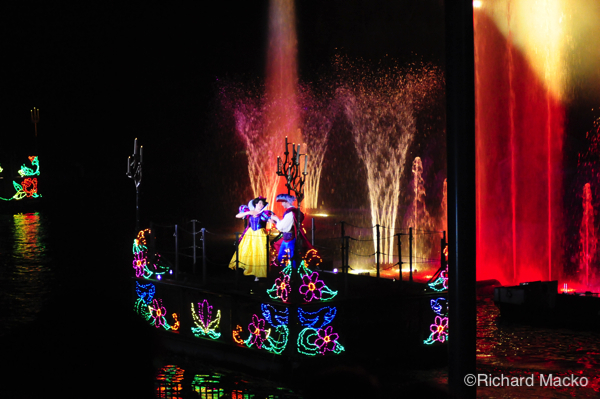 It is arguably the most elaborate live show in any Disney World park. A few scenes, such as one in which Nemo’s mom is eaten (! ), may be too intense for some very small children. Did you know that Michael Curry, creator of these fabulous puppets, also created the puppets for The Tales of Beedle the Bard at Universal Studios? 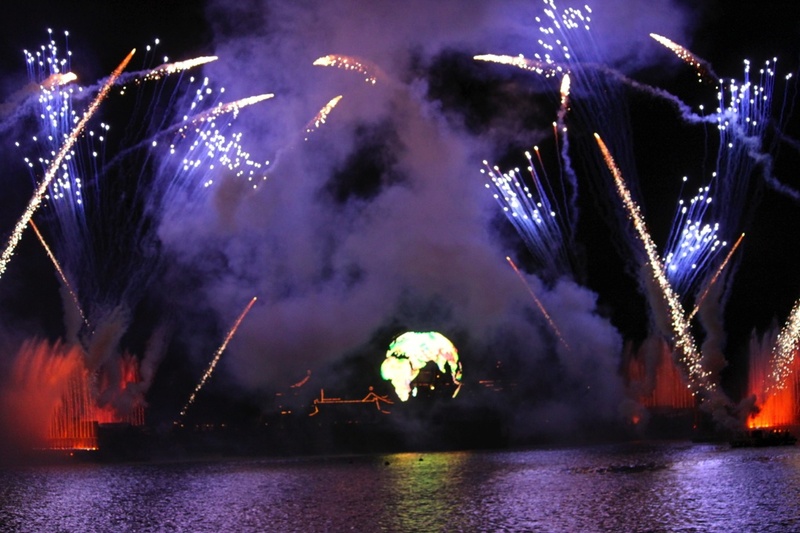 Epcot’s great outdoor spectacle integrates fireworks, laser lights, neon, and music in a stirring tribute to the nations of the world. It’s the climax of every Epcot day and a Disney show not to be missed. This enchanting and ambitious show (it tells the history of the universe starting with the big bang) is well worth keeping the kids up late. The best places to view the show are from the lakeside veranda of La Hacienda de San Angel at the Mexico Pavilion, Spice Road Table in Morocco, or the Rose & Crown Pub at the UK Pavilion. The drawback is—you guessed it— that you will have to claim this spot at least 90 minutes before IllumiNations. When choosing a spot on the verandas, select a table alongside the lake. The verandas are huge, and not all tables are created equal. Other great spots are found along the water in Germany and Italy. Fantasmic! is a must-see for the whole family. Starring Mickey Mouse in his role as the sorcerer’s apprentice from Fantasia, the production uses lasers, images projected on a shroud of mist, dazzling fireworks, lighting effects, and powerful music. Fantasmic! has the potential to frighten young children. Prepare your children for the show, and make sure that they know that, in addition to all the favorite Disney characters, Maleficent the dragon and the evil Jafar will make appearances. To give you an idea, picture the evil Jafar turning into a cobra 100 feet long and 16 feet high. Rest assured, however, that during the final parade, your kids will cheer on Cinderella and Prince Charming, Belle, Snow White, Ariel and Prince Eric, Jasmine and Aladdin, Donald Duck, and Minnie and Mickey. You can alleviate the fright factor somewhat by sitting back a bit. Also, if you are seated in the first 12 rows, you will get sprayed with water at times. Professional stuntmen and -women demonstrate dangerous stunts with a behind-the-scenes look at how their work is done. 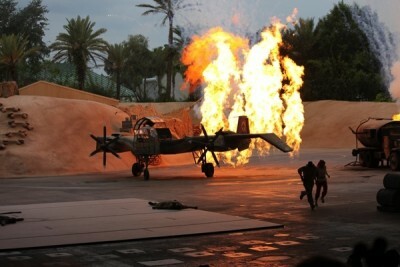 The show uses pyrotechnic devices in several stunts and is action packed, but most kids handle the show well. The show always needs a few “extras.” To be chosen from the audience, arrive early, sit down front, and display unmitigated enthusiasm. Unfortunately, “victims” must be 18 years old and up. The show based on the Indiana Jones and the Raiders of the Lost Arc movie has been performed since 1989 at The Stunt Theater in Echo Lake. Join Cogsworth, Lumière, Chip, and Mrs. Potts as they help Belle break the spell. 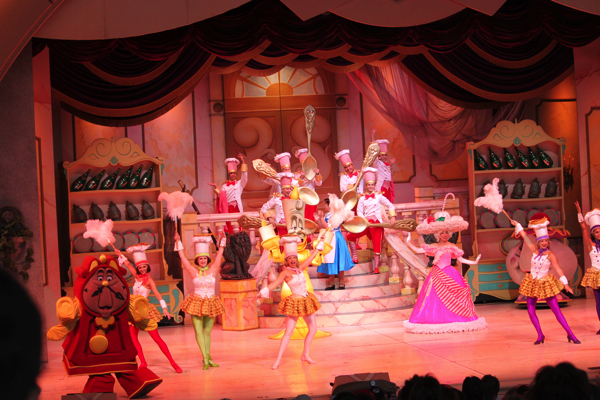 This 25-minute musical stage show of Disney’s Beauty and the Beast will charm everybody. The show is popular, so show up 30 minutes early to get a seat. The show has been presented at the Theater of the Stars since 1991, the same year the animated movie was released. With the release of Disney’s live-action movie Beauty and the Beast, starring Emma Watson as the most peculiar mademoiselle Belle, the show will certainly continue to be a favorite among kids. Mickey’s Royal Friendship Faire debuted here in 2016, replacing the long-running Dream-Along with Mickey show. 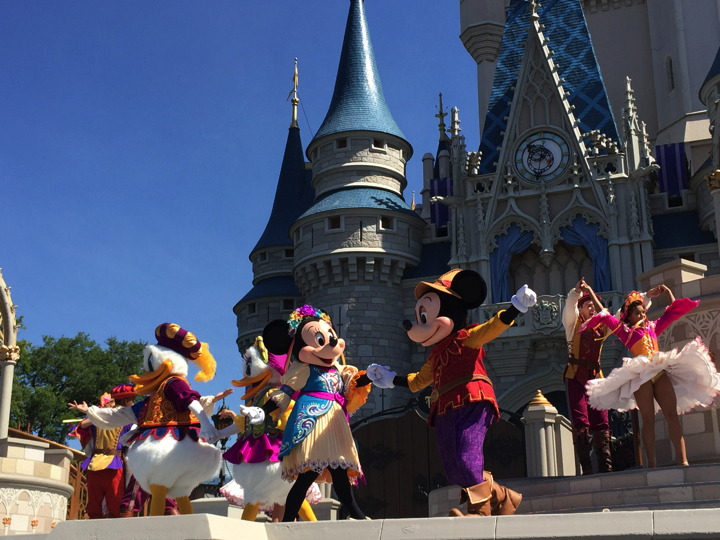 The cast includes Mickey, Minnie, Donald, and Goofy, with appearances by Anna, Elsa, Olaf, Rapunzel, Tiana, and others. Like its predecessors, the show is a bit of dialog stringing together several song-and-dance numbers involving the princesses. The show is performed several times a day according to the season, with showtimes listed in the daily Times Guide. The Castle Forecourt Stage is elevated well above ground level, so good viewing spots are available all around Main Street’s Central Plaza. We would love to hear from you. What is your favorite Disney show? If you enjoyed this post, sign up for our newsletter here. 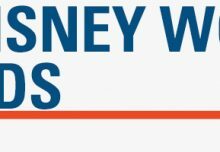 For more information on all there is to see and do at Walt Disney World check out The Unofficial Guide to Walt Disney World by Bob Sehlinger and Len Testa.